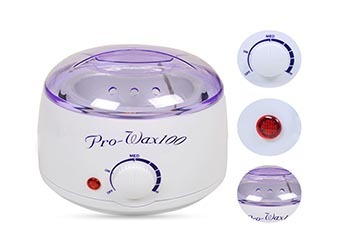 Description: Heating and melting depilatory wax Voltage ：110V-120V/.. Description: A Pair of Professional Spa Booties Deep penetrating therapy that softens.. Description: - Relax your hands in a cushion if warm soothing heat, - Use line during app..
Description： - Warm all types of waxes. - Include extra aluminum container. - See thr..
Descriprtion: Metal construction body and aluminum pots; 4" pot opening to accommodate mo..
How to Shop Online ?